that information is certainly not correct. The vessel is currently doing its winter lay up at Piraeus Main Port. Check it here: http://www.shipfriends.gr/forum/topic/18-hellas-roundup/?tab=comments#comment-242106. I just saw a recent photo of her moored there a couple of days ago, also. 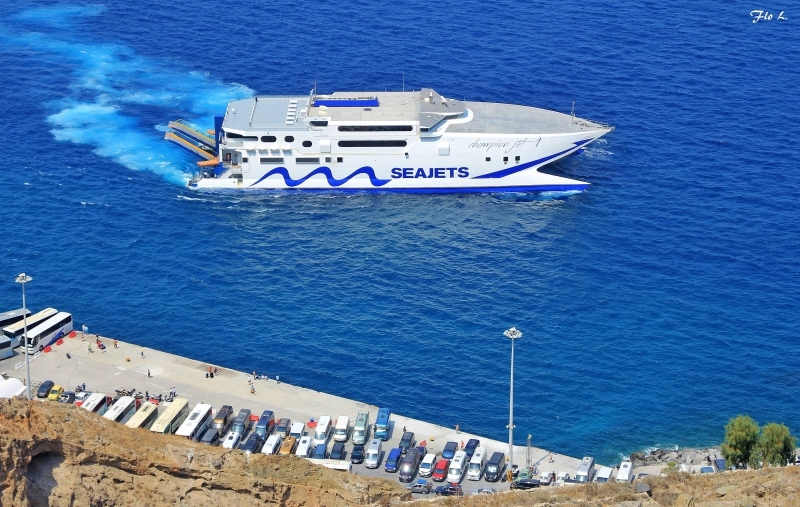 She will return to her routes probably during the Easter period between Crete and the Cyclades. She's certainly not and never has been the Gravesend/Tilbury ferry, as suggested by the port history misinformation. An amusing thought, though!! Why is she in Tilbury now? Gorgeous photograph against that blue sea.